On the 30th – 31st of March 2017 in Vienna, Austria the first OII Europe Community Event and Conference took place. 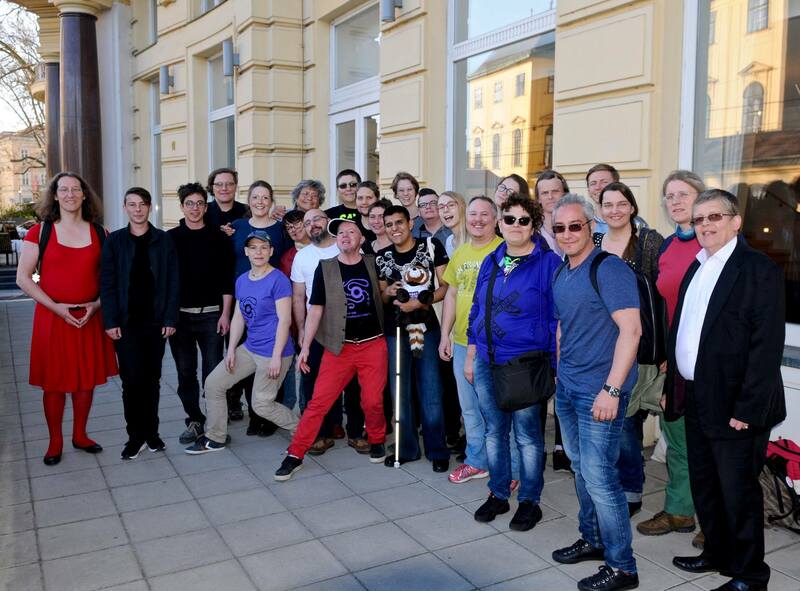 28 Intersex people from 16 European countries came together during the Community Event (30.-31.3.) to share their experiences, and talked about how to make intersex people’s lives safer in Europe. The program included training on public speaking and communications training, as well as creativity sessions. Some participants were attending an event of this nature for the first time in their lives, and empowered them to speak up about the issues. The Conference took place in the Vienna City Hall (1.4.). Its aim was to inform the broader public about intersex issued in Austria and in Europe. The participants of the Community Event also participated at the Conference, either by giving expertise as panelist or by holding workshops or by speaking up during A&Qs.